How Much Money Does the Average Construction Site Stand to Lose Without Proper Security? Construction theft has become big business. National heavy equipment theft in the U.S. increased from 11,486 reported incidents in 2013 to 11,625 in 2014, a growth of 1.2 percent, according to the National Insurance Crime Bureau. The NICB estimates that national losses total between $300 million and $1 billion, with only 23 percent of stolen items ever recovered. Smaller tools and other equipment also represent a lucrative target for thieves. For example, the market for stolen copper wiring also exceeds $1 billion, much of this taken from construction sites. These numbers are industry-wide, but the cost for the individual construction firm can also be steep. Here’s a look at what construction theft can cost you if you don’t take sufficient construction security precautions. Heavy equipment accounts for the most expensive portion of construction theft, according to data compiled by equipment recovery provider LoJack. Wheeled and tracked loaders are the most popular target for thieves, comprising 36 percent of stolen equipment. This type of equipment costs an average of $77,404.07 per unit to replace. The next most popular target is towables that are brought to locations via truck hitch or trailer, such as generators, cement mixers, welders, air compressors and light towers, accounting for 35 percent of losses. This category of equipment costs an average of $22,737.40 per unit to replace. The third most popular target for thieves is skid steer loaders, which make up 15 percent of stolen equipment. Skid steer loaders can include powered attachments such as small cranes and forklifts, adding to their total dollar value. This type of equipment costs an average of $36,532.71 to replace. Excavators are the next most popular target for thieves, accounting for 7 percent of thefts. Like skid steer loaders, excavators can also come with expensive attachments. Replacing this type of equipment costs an average of $44,980.38 per unit. Utility task vehicles account for another 6 percent of heavy equipment thefts. Replacing UTVs costs an average of $11,308.67 per unit. These losses can be avoided or minimized by taking construction security measures to deter theft and recover stolen property. Fences, security cameras, motion-sensor-activated lighting and warning signs can help deter thieves. Mobile surveillance cameras are ideal for this purpose since they can be placed in virtually any location. Cameras should be placed at points where thieves have to pass in order to access your premises, such as fence gates, as well as in locations near expensive equipment. Mobile surveillance cameras can also be placed in hidden locations to capture thief identifying details, which can assist with equipment recovery. These types of cameras are also useful for creating construction time-lapse videos, which can be used both to document theft activity and to create documentation of project progress to show clients or to use as marketing videos. Circling larger equipment around smaller equipment, chaining pieces of equipment together, using wheel locks, locking up keys, installing fuel shut-off systems and removing fuses and circuit breakers can also help deter heavy equipment theft. Make sure to keep good inventory records on all equipment to support loss claims and to help assist law enforcement with equipment recovery. Stamping or engraving equipment parts will help make recovery easier. 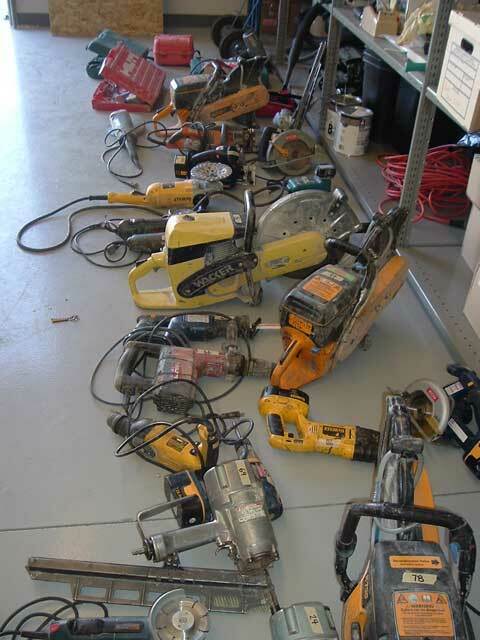 Lost tools are another target for construction thieves. The average construction company has thousands of small or medium-sized tools in use at any given site, such as nail guns, power drills, and impact drivers. Every year, an average of 10 percent of these tools are lost, stolen or permanently “borrowed” by workers who forget to bring them back. While these tools are considerably less expensive than heavy machinery, typically costing hundreds of dollars rather than tens of thousands, they often aren’t covered by insurance because their value falls below the high deductible carried by most contractors. The same basic construction security measures used to deter heavy equipment theft can also help deter tool theft. These include installing fences, mobile surveillance cameras and motion-sensor-triggered lighting. In addition, you can track your tools by keeping a master record, marking tools with unique identifiers and requiring workers to use a sign-out sheet for tools. Locking up tools in a secure location such as a building or using a tool dispenser machine are more effective than locking tools in a trailer, which can be easily broken into. Tools can also be tagged with a chip for GPS tracking, which can assist in recovery of stolen property. You can even use a GPS technology called telematics to send you an instant alert when tools are taken outside of a designated geofenced perimeter. 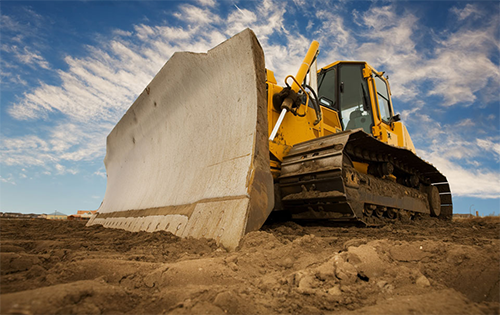 In addition to the hard costs of stolen heavy equipment and tools, construction theft can also burden your company with hidden costs in lost productivity. When important equipment or tools are missing, your project progress can get slowed down or ground to a halt. Unfortunately, missing items often aren’t noticed until an essential piece of equipment is urgently needed. This type of crucial delay can set your project back and cause missed deadlines. 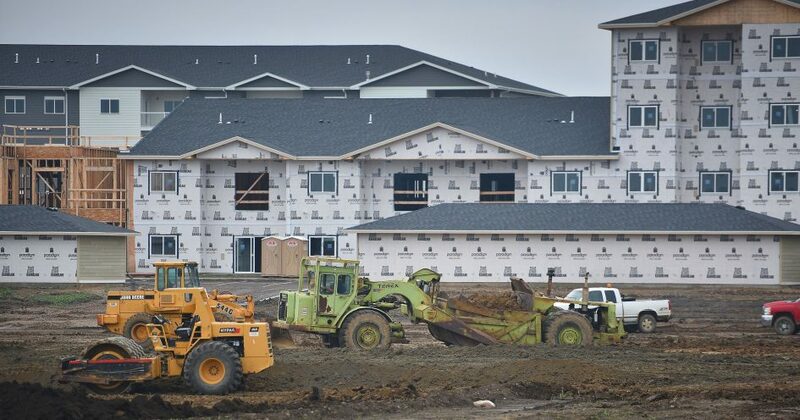 Delays like this can have a ripple effect that quickly multiplies your costs, explains construction management consultant Paul Netscher. For instance, having to stay on-site longer than originally planned can cause you to incur additional costs for facilities, staff salaries, bonds, sureties and insurance. Delays can also damage your reputation with clients, costing you repeat business. In addition, on-site theft can hurt your workers’ morale, and some unions may hold you responsible for replacing worker tools stolen on the job. Expensive heavy equipment replacement, lost tool costs and lost productivity are three of the ways construction site theft can hurt your business. Fortunately, taking construction security measures such as installing security cameras, locking up equipment properly and tracking your inventory can help you prevent theft and recover lost equipment.